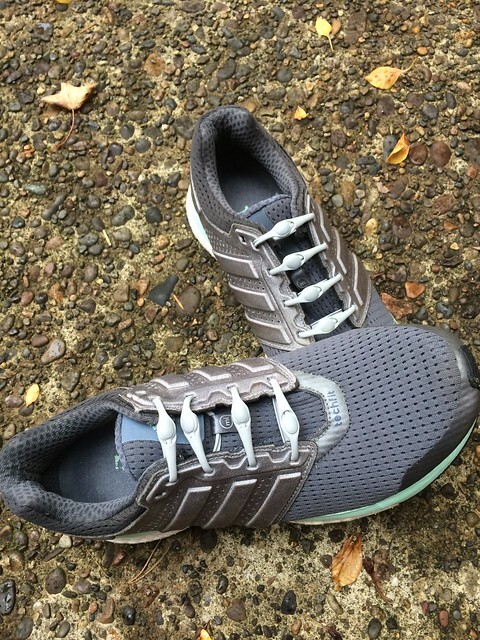 Product: HICKIES Responsive Lacing System Company: HICKIES.com Price: $14.99-$17.99 Description: HICKIES responsive lacing system is made from a memory-fit elastomer that moves with your feet while providing the comfort and stability to keep you one step ahead. 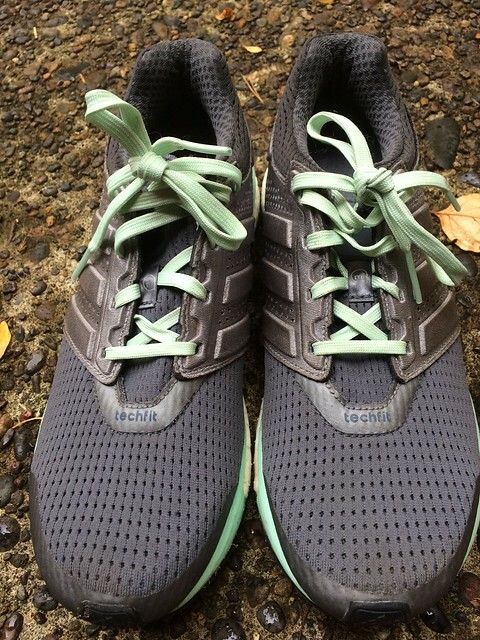 Whether you want to streamline your sneakers or give your workout an extra boost, HICKIES lacing system offers an unbeatable combination of fit, function, and fashion. I loved these shoes, but the laces never stayed tied. We’ve all had to stop to tie our shoes during a run and, while some might see it as an excuse for a breather, most of us are just annoyed. It’s even worse if you’re running with a friend and have to inconvenience them with a stop as well. 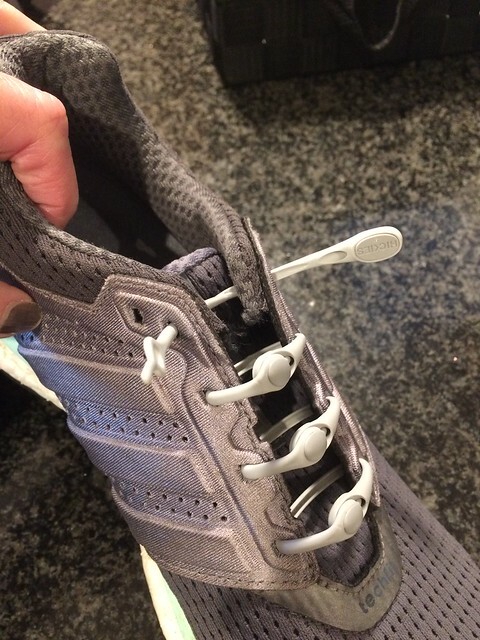 I have tried lacing my shoes differently, double knots and numerous strategies to keep my laces secure and it works most of the time, but not every time. I have some laces that are particularly slippery and stubborn and are guaranteed to come untied pretty much every run so I was happy to trade out a pair of my especially slick laces with a pair of HICKIES and test them out. I’ve tried other quick lace products out there that took me more time than I like to admit to figure out just how to use them so I was ecstatic when these took me less than 10 minutes to ‘lace’ up my shoes for the last time. Each pack comes with 14 HICKIES that lace through the eyelet of your shoe and basically ‘button’ and tuck in place. Depending on your preference, there are options to make the fit looser or tighter and they stay put. My teenager beat me and had his shoes ready to go in under 5 minutes. I hadn’t intended to share, but couldn’t say no when he was so excited to test them out with me. Right away said they made his shoes feel more comfortable so I let him keep a pair. Lace these one time and you’re done. Finally these shoes are functional again. He’s right, they are comfortable and convenient, no matter how lazy it makes me sound. It is so much easier to just slip on a pair of shoes rather than having to tie them too. Saves time, they stay on and don’t stretch out. You can swap them out too, so you’re not locked in with one choice and can use them on different shoes, if you choose. There are all sorts of color options, from black to metallic and everything in between. It sounds ridiculous, but I love that these look ‘cleaner’ than a more traditional lace. They don’t have the big rabbit ears flapping around and just look nicer. Not that a clean, streamlined appearance makes you run faster, but it can’t hurt. HICKIES were definitely a solid find and not just for runners and walkers. I wish I had these back when I was pregnant and couldn’t see my feet. I would have loved some comfortable shoes without the struggle to tie them. They would also be perfect for anyone with arthritis or problems with dexterity in their hands. Triathletes would love these too, keeping transition times down, without compromising performance. Click here to support their campaign via Kickstarter. It has BLOWN AWAY it’s asking amount with now over $300,000 committed to the product! Get in while the getting is good! It will end on November 4th! I love anything and everything related to health and fitness! I teach group exercise and do small group personal training when I'm not cleaning up after or shuttling three boys around. I run to to clear my mind, keep my sanity and stay connected with friends. I'm still working on teaching our dog, Autzen, proper running etiquette. Half Marathons and Triathlons are my favorite events and I watch a whole lot of soccer.